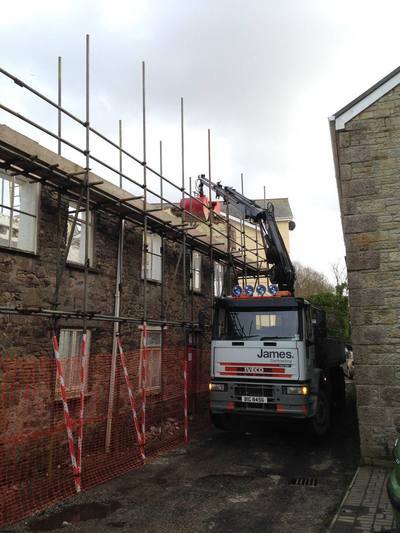 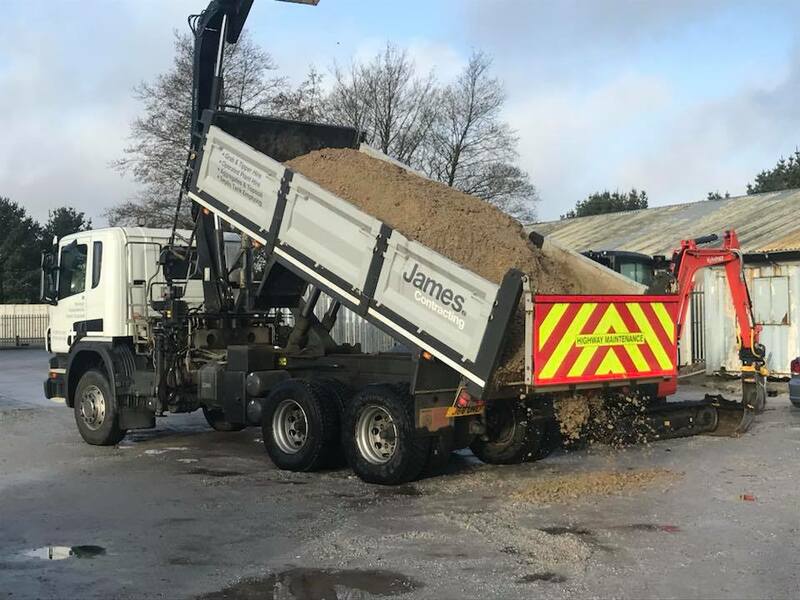 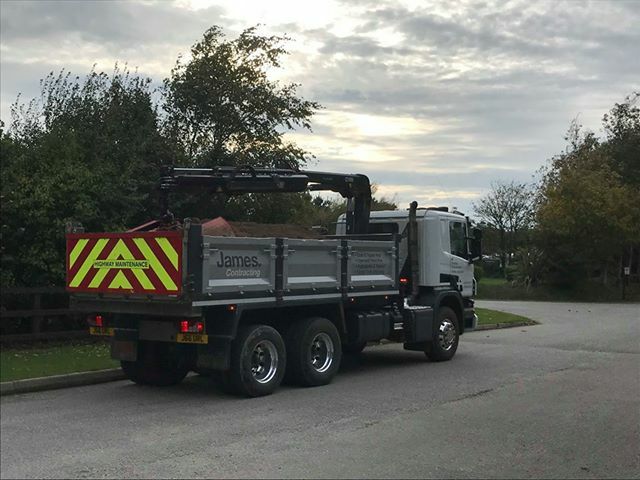 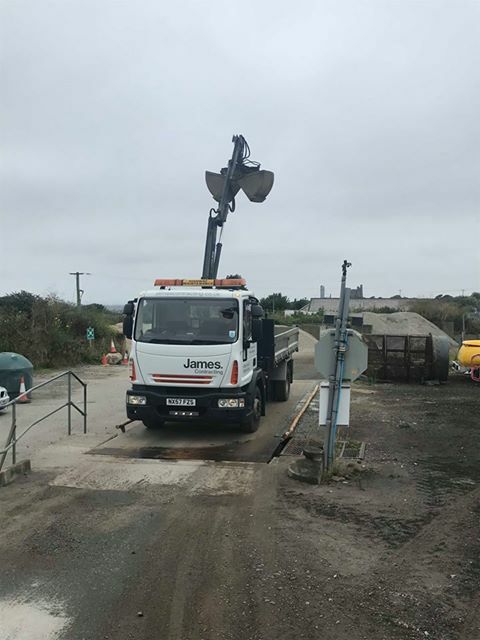 At James Contracting we operate a versatile fleet of 4 and 6 wheel grab lorries. 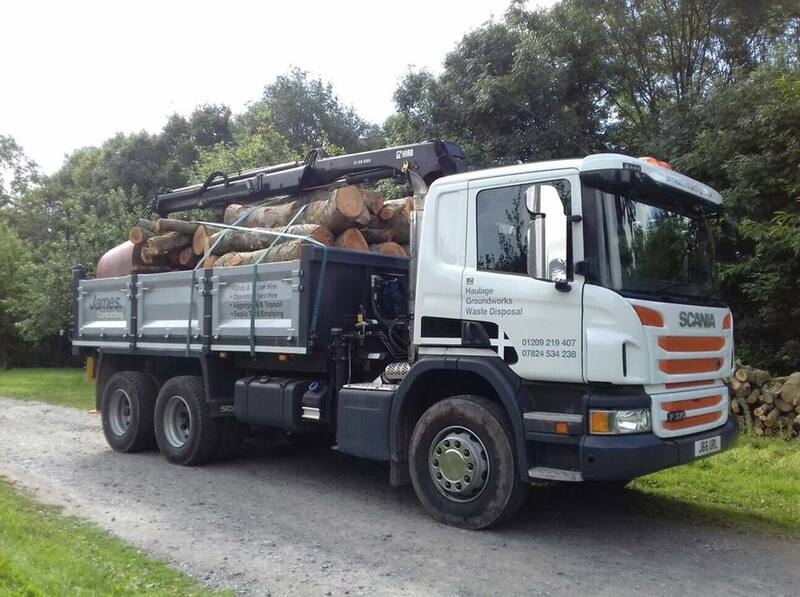 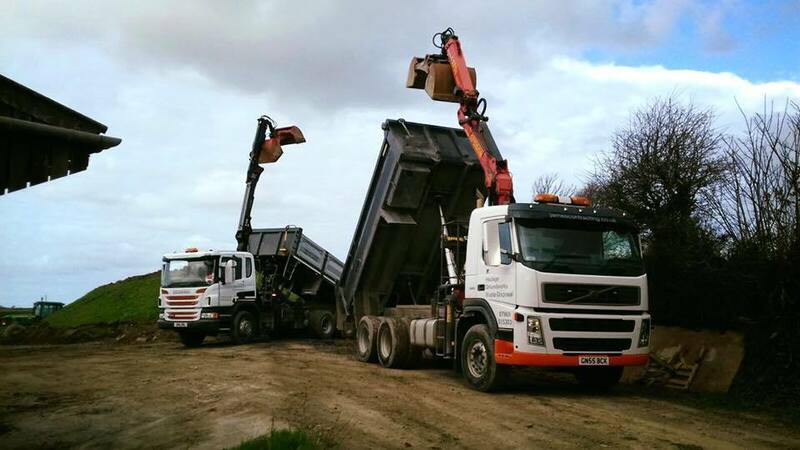 Use our grab lorries for a cost effective way of removing your waste. 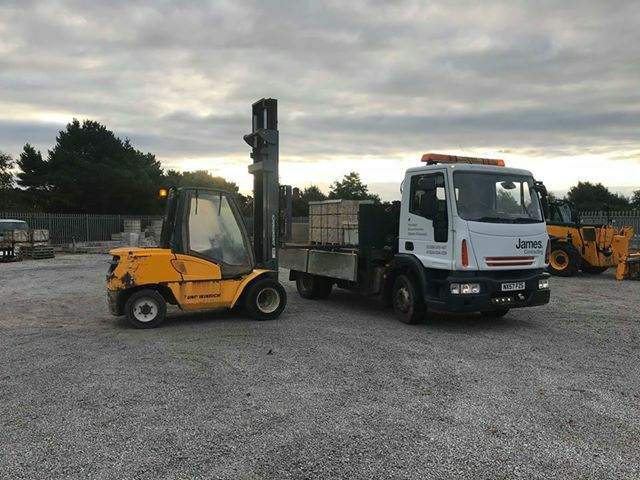 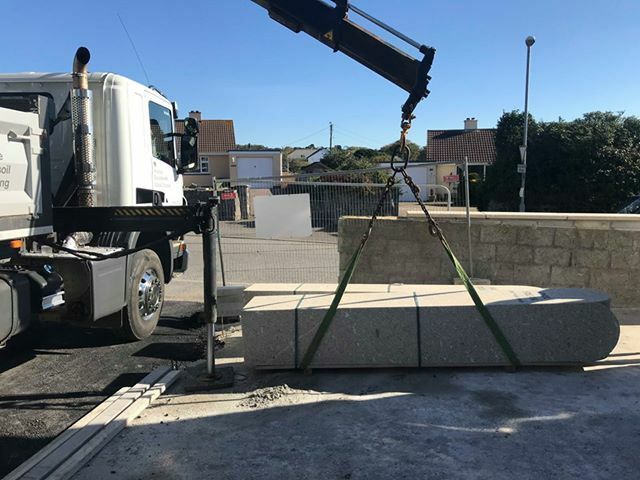 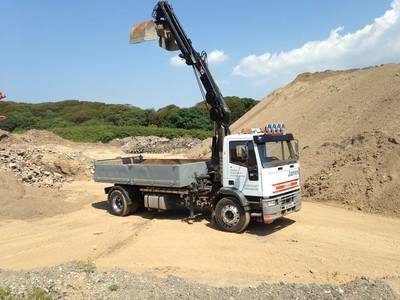 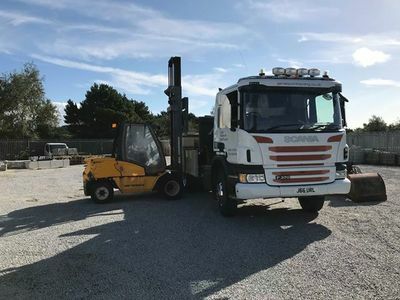 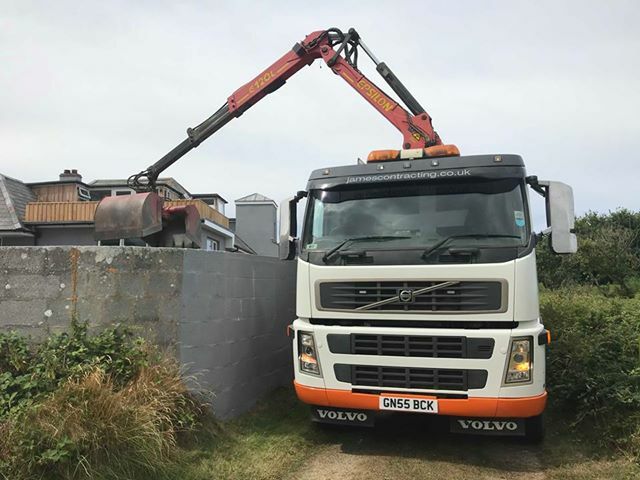 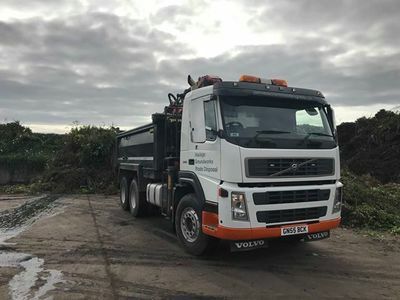 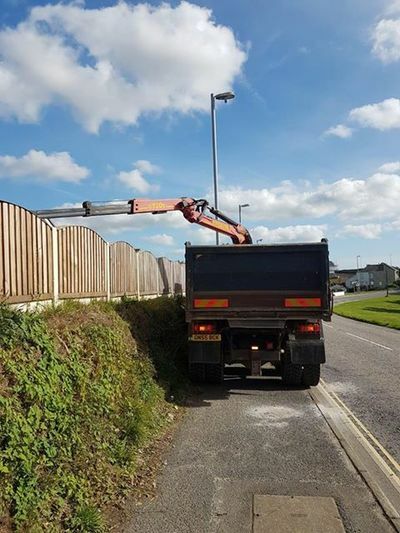 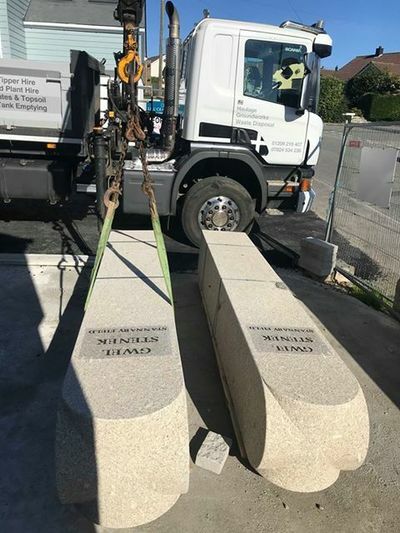 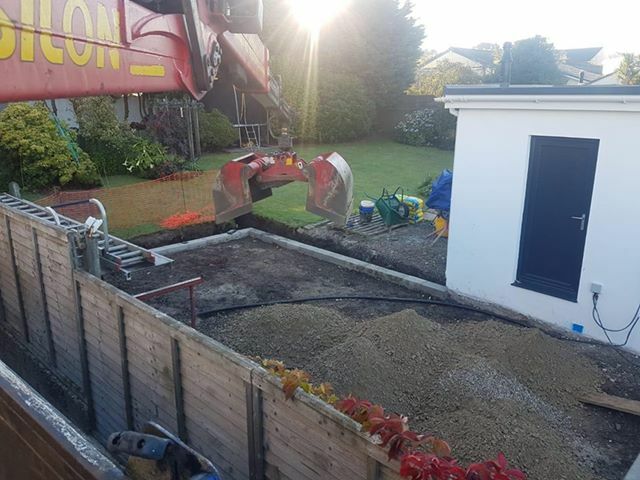 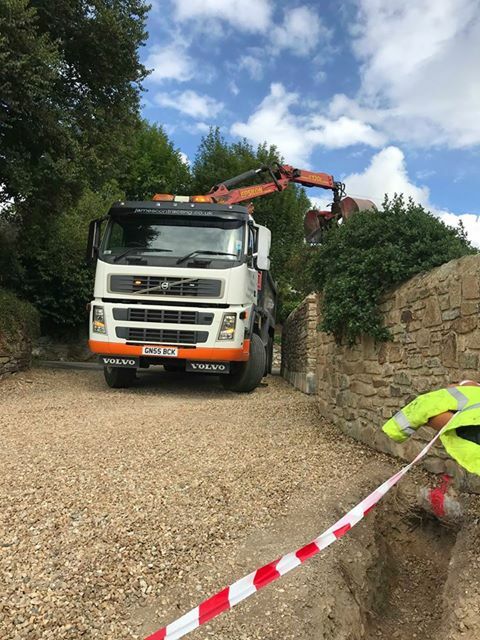 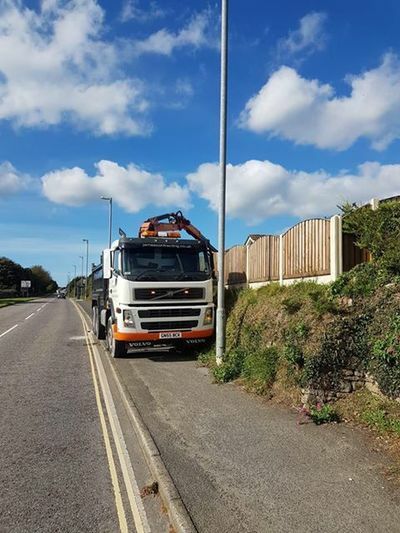 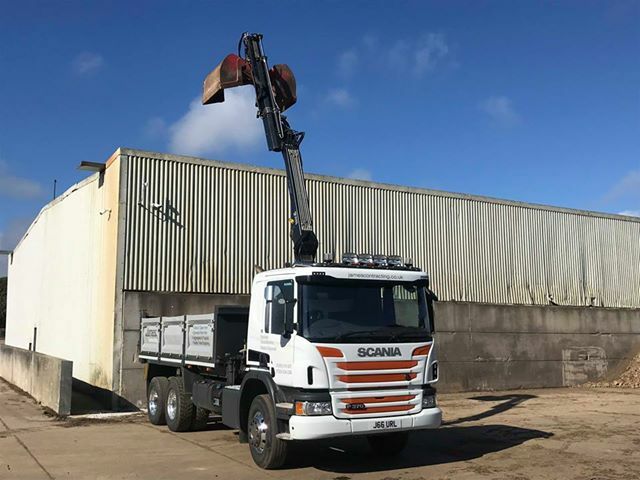 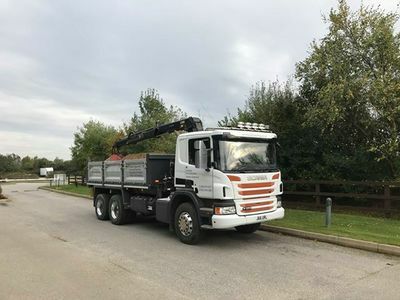 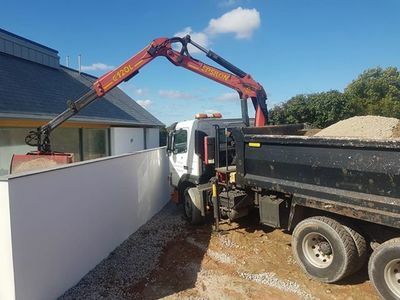 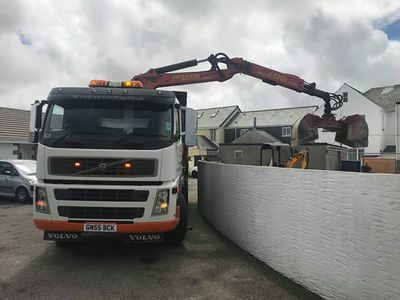 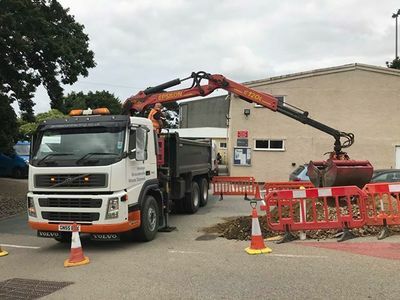 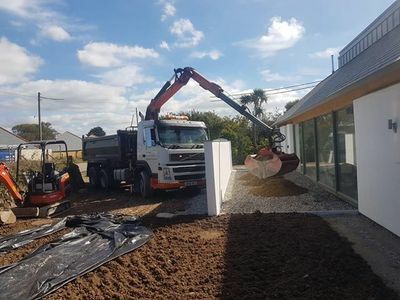 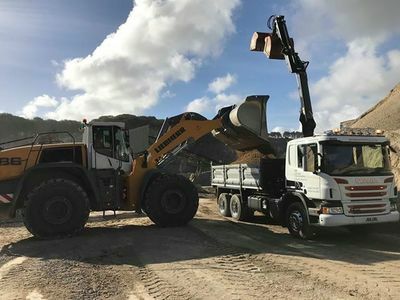 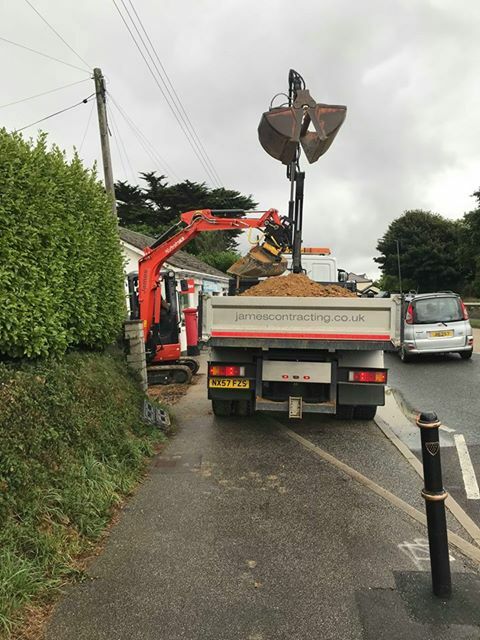 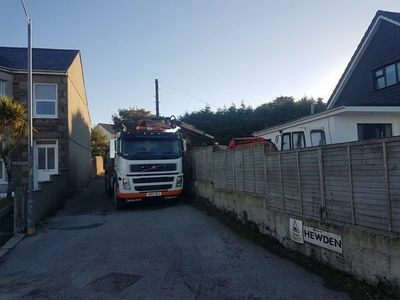 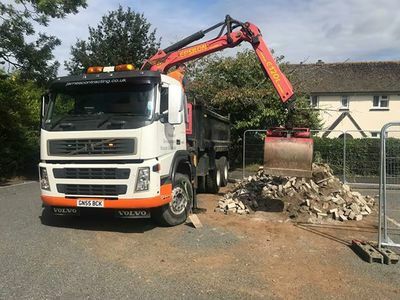 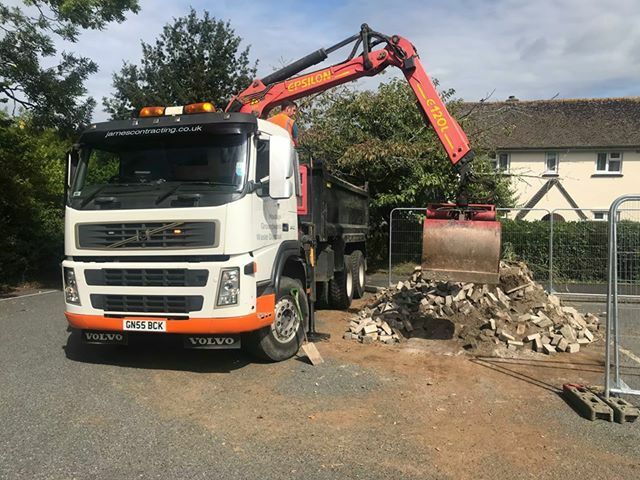 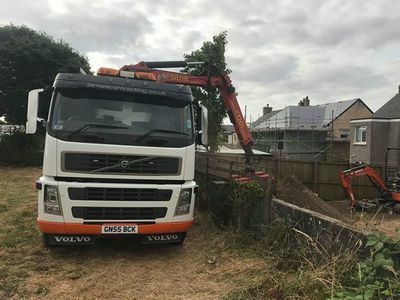 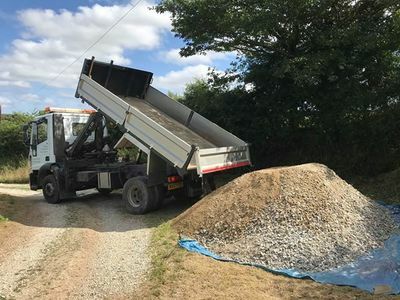 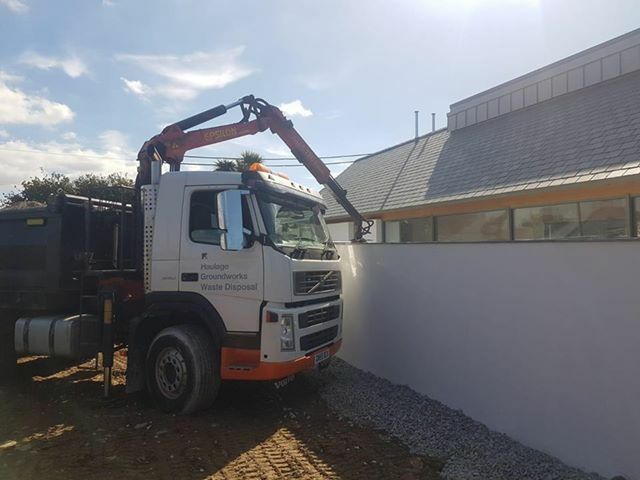 Our vehicles are capable of accessing over fences, hedges and walls, they also allow top soil and aggregates to be delivered where there needed. 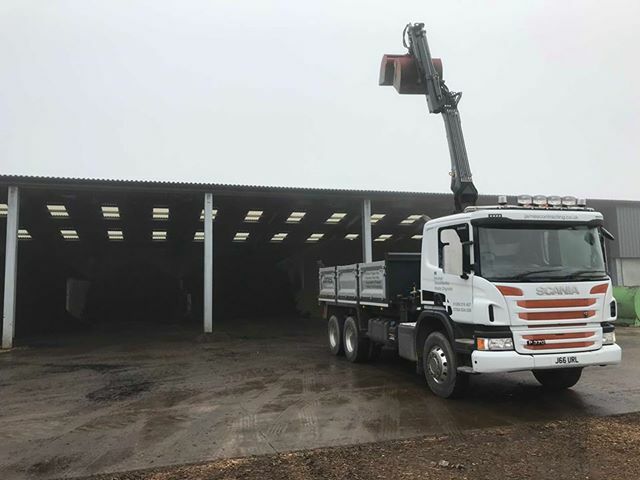 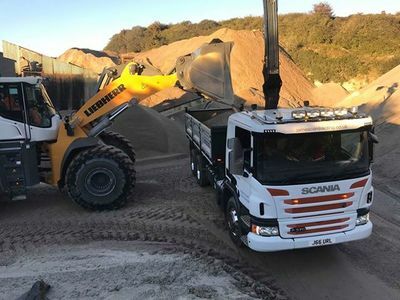 Operating with a “can do” attitude our team strives to provide you with an efficient and cost effective solution to your muck-away and haulage needs. 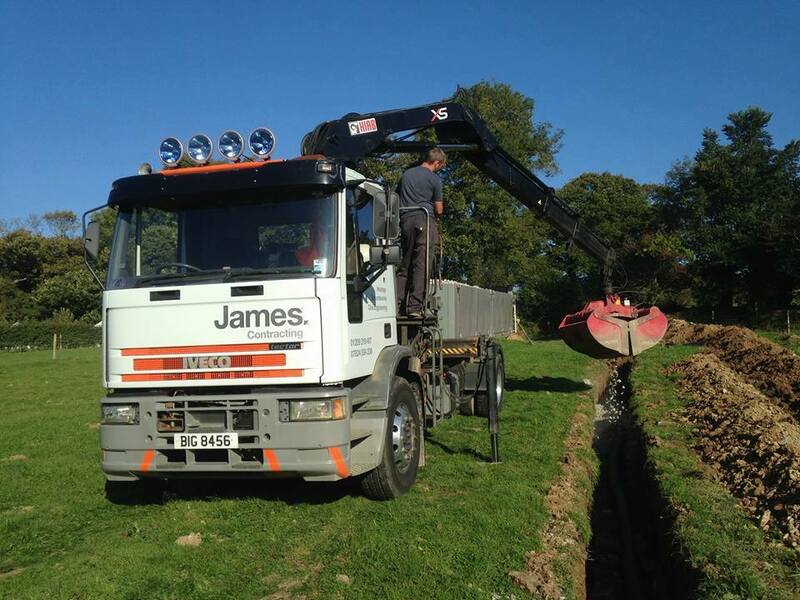 quickly and safely with minimal disruption. We also supply top quality certified aggregates, tarmac, concrete and top soil. “Thank you for performing an excellent job in replacing the collapsed concrete roof of our septic tank. We were pleased by your prompt response to our situation, and were impressed by you and your staff’s professionalism. 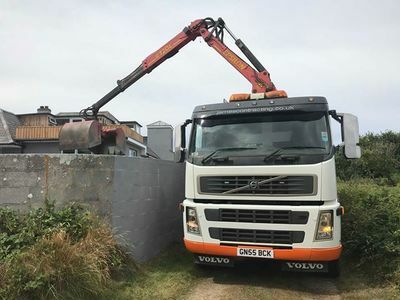 We had been concerned that access to the location of the tank might entail a degree of damage to our garden but your care and attention in controlling your mechanical equipment kept this to a minimum, and what minor disturbance there was you made good. 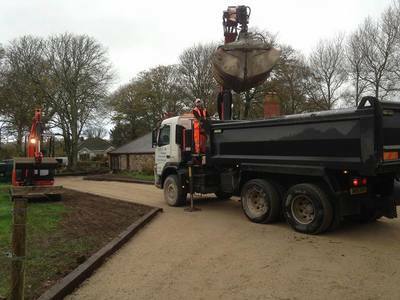 We were also impressed that the work was completed in timely fashion. 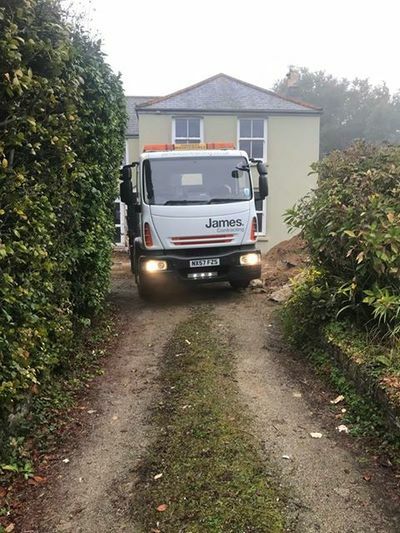 Many thanks once again."